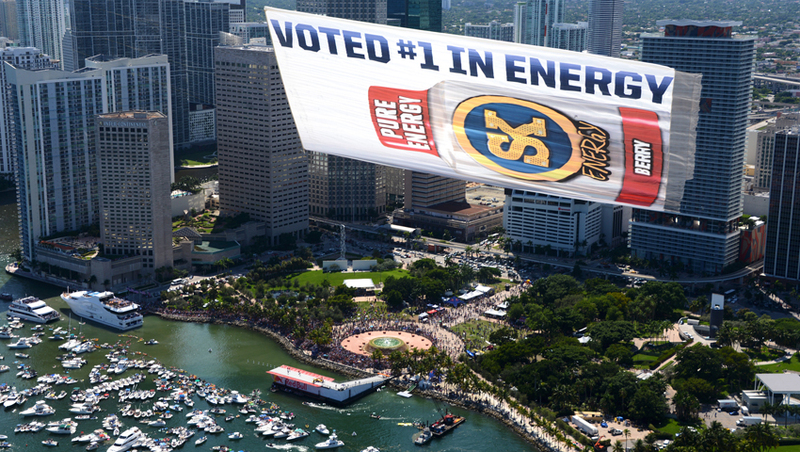 At the end of the day, the answer depends on your goals for your brand and your message; aerial advertising includes versatility and fine audience targeting among its many strengths. For example, say you’re a regional marketing business in Florida trying to reach 18- to 34-year-old men with a certain income. You could narrow down where they’ll be gathered in large numbers and target those events, like surfing events or the Daytona 500. Sporting events provide a great place to reach people with your message while they’re relaxing and doing something they enjoy, and opens the possibility of connecting your brand with their loyalty to the team. If you just want to target the biggest NFL games of the year, that’s an option, or you could choose to fly at every New York Jets game and New York Giants game. Or maybe you want to reach a sports audience, but one with different demographics than at a professional football game. There’s college football, Major League Baseball, horse races, NASCAR, surfing and soccer, just to name a handful. Those all have audiences with different demographics. For example, African Americans and people in their 40s are more likely to prefer professional football, while conservatives and those ages 50 to 64 are more apt to be baseball fans, according to Harris Interactive. Of course, you’re not just limited to sports. 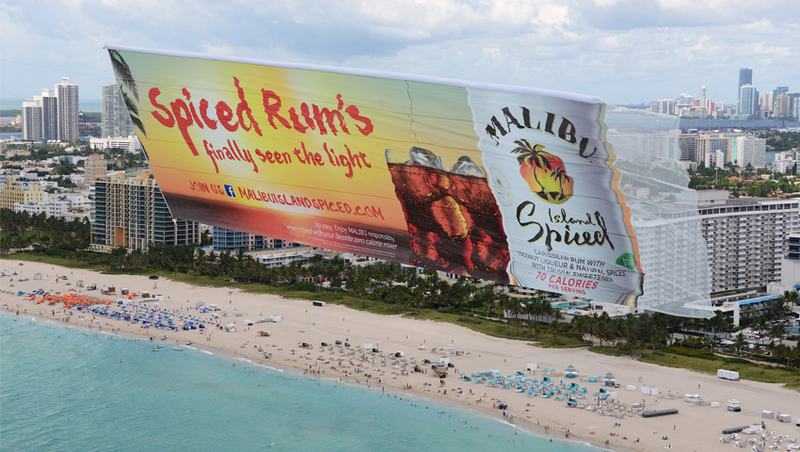 Aerial advertising at popular spring break destinations allows you to reach college students from across the country with minimal effort and expense, especially compared to an ad campaign trying to achieve the same reach through student newspapers. Music festivals allow you to reach large audiences with a good mixture of ages, while state fairs bring out families. You can also mix and match events to achieve the results you want. For instance, you might fly three Giants games, then head to a marathon and finally fly at a golf tournament. 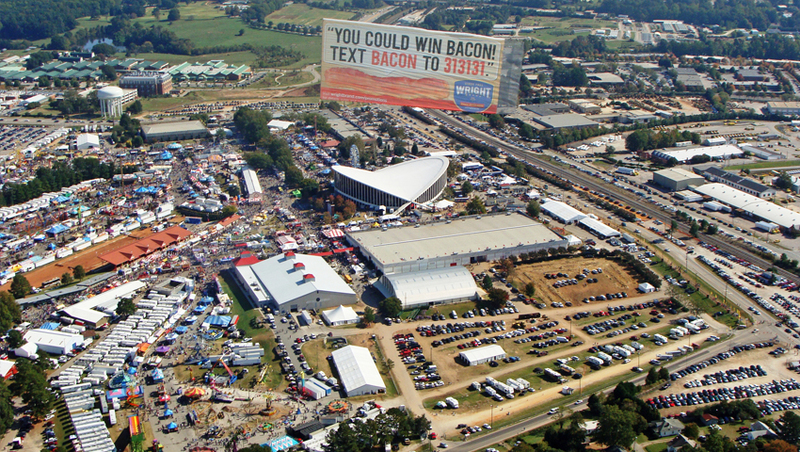 Of course, your aerial advertising doesn’t even have to be tied to an event like a game or a concert — you could fly a banner over a town where your store is having a grand opening. On the other hand, flying similar gatherings repeatedly strengthens your connection with that team or venue (especially if you’re an official sponsor) and serves to improve the audience’s ability to recall your brand and message. Fly all eight home games during a Giants season and you’ll reach the most devoted fans repeatedly, especially season ticket holders — that’s really valuable. Match your event selection with your persona(s) and watch your campaign results soar.